For 11"w x 8.5"h literature. 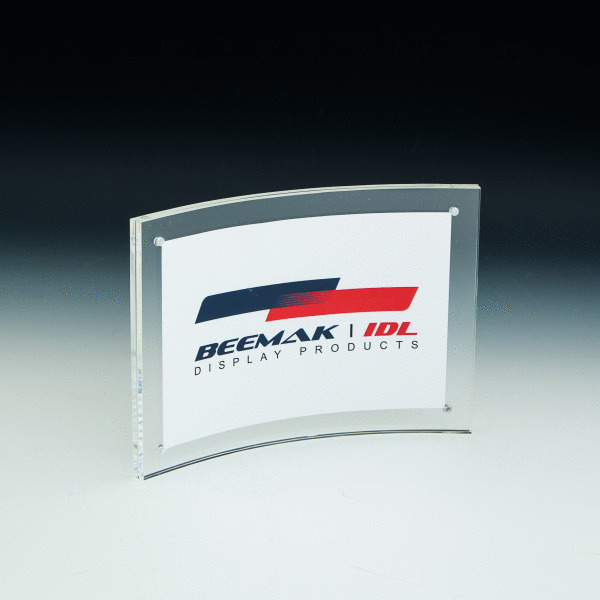 This clear acrylic curved sign holder features an elegant design with a removable magnetic face plate that secures your signage in place and allows for effortless print changes. 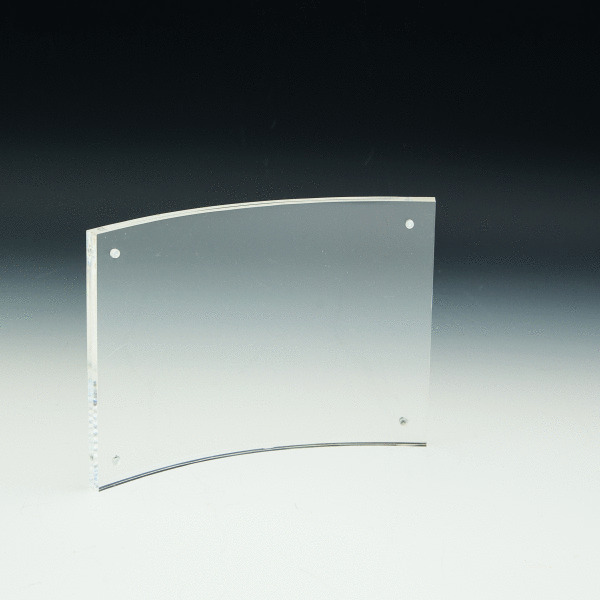 Clear back panel allows for convex or concave display.